Published: Nov 26, 2018 · Modified: Apr 11, 2019 · By Jen Sobjack · This post may contain affiliate links. 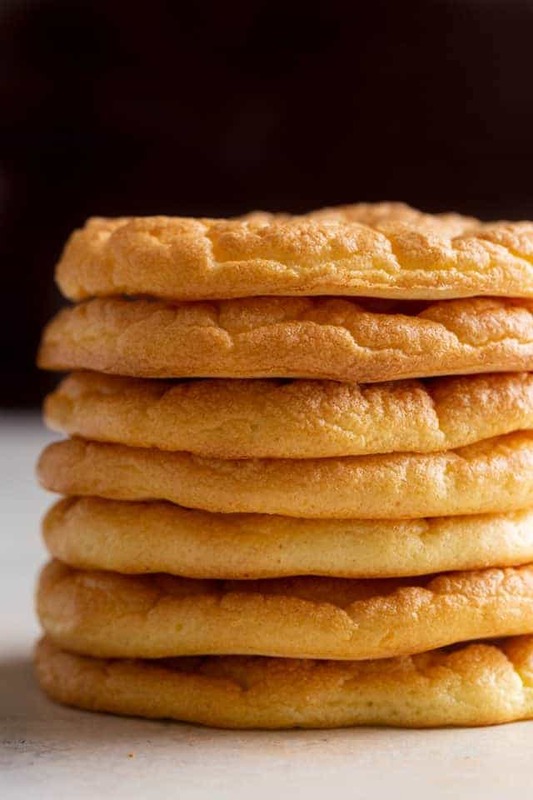 This simple cloud bread recipe is a low carb, keto friendly option that is light, fluffy, and great for sandwiches. I have shared a ton of bread recipes on the site. The archive just keeps growing! And when I discovered this egg white based bread on A Spicy Perspective, I just had to give it go. 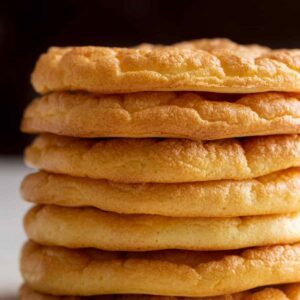 Cloud bread gets its name because it looks like a cloud. It’s also light and fluffy like a cloud. It’s a low carb option for anyone on a keto diet. But let’s face it. 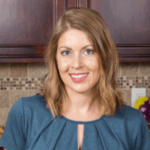 If you are here on my site, you are not on a low carb diet! Everything I make is loaded with carbs. 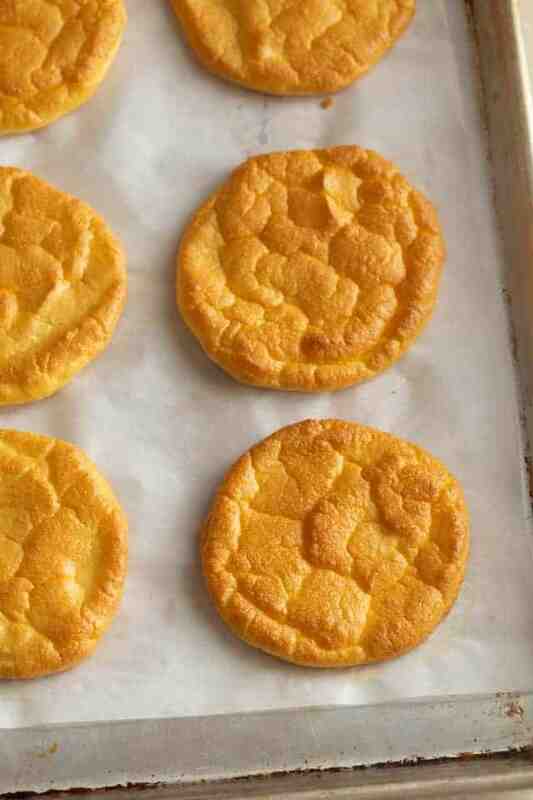 I just really like this simple, 4-ingredients cloud bread. It’s fun to make and more fun to eat! My husband makes sandwiches with it and I enjoy it with a smear of jelly. It’s even tasty on its own and can be flavored in a variety of ways which I’ll discuss down below in the recipe. So, if you’re a baker and enjoy the process of whipping egg whites and folding them to a batter, you’re going to have fun putting this recipe together. The ingredient list for this cloud bread recipe is very short. 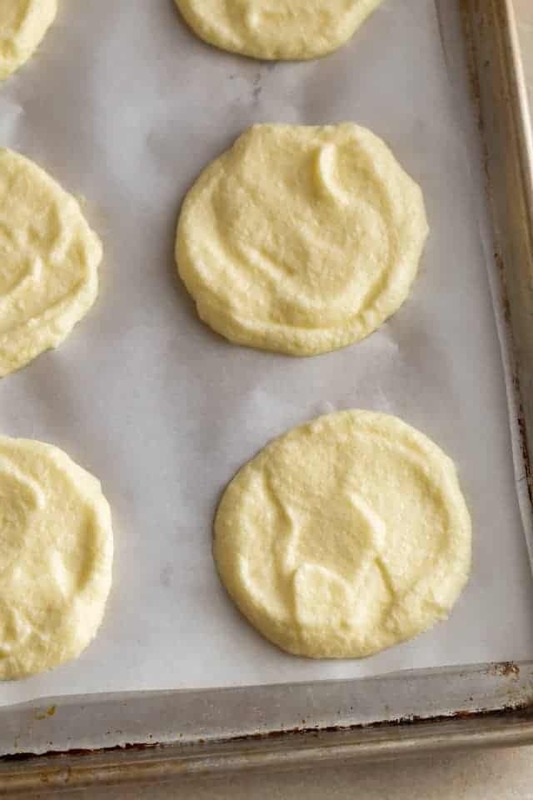 You need just four ingredients to make a basic keto cloud bread. This fun little bread is so easy to make. In just a few simple steps you’ll have fluffy pillows of cloud bread. Start by separating the eggs. Place the whites in one large bowl and the yolks in another large bowl. Whip the egg whites. Add cream of tartar to the whites and whip them to very stiff peaks. If you fail to whip them enough, the bread won’t turn out properly. Combine the other ingredients. 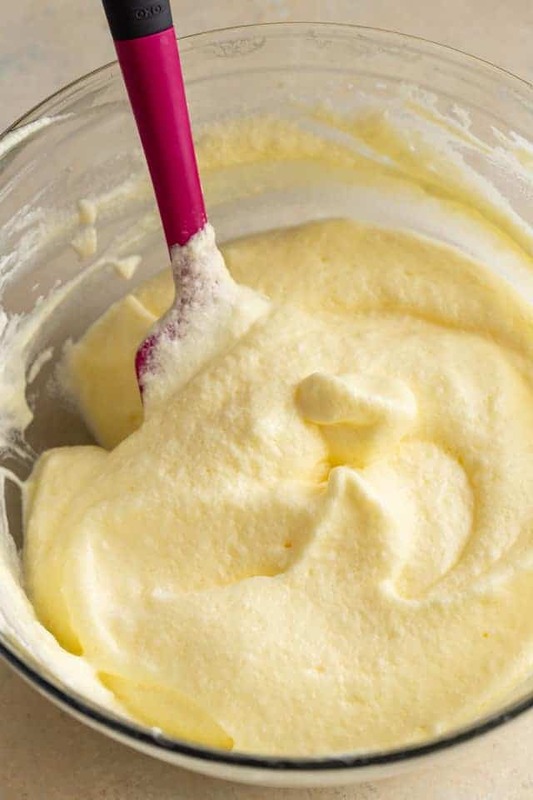 Mix the egg yolks with Greek yogurt and salt until smooth. Fold in the egg whites. In three additions, fold the whites into the yolks until combined. Use a gentle hand so you don’t deflate the air in the whites. The batter should be somewhat thick once fully incorporated. Portion the batter. Drop 1/2 cup mounds of batter onto a baking sheet lined with parchment paper or a silicone mat. Then use a spatula to shape the mounds into 1/2-inch thick disks. Bake the cloud bread. Bake the bread for about 30minutes, until it’s golden and feels dry to the touch. Cool the bread. The bread needs to cool for at least an hour after baking. If you eat it warm, it will have an eggy flavor and texture. As it sits, it will dry out a bit and be more like bread. Does cloud bread taste like bread? Cloud bead only has the texture of bread. It actually tastes like eggs. The main ingredient is eggs after all. We noticed the eggy flavor is more intense when the bread is fresh from the oven and it mellows out as it cools down. Let the bread rest for at least an hour before using. Cloud bread really should be used the day it is made. The texture degrades and it won’t be as good after that. But, if it’s truly necessary to store the bread, keep in an airtight container either at room temperature or in the refrigerator. How long will cloud bread keep? 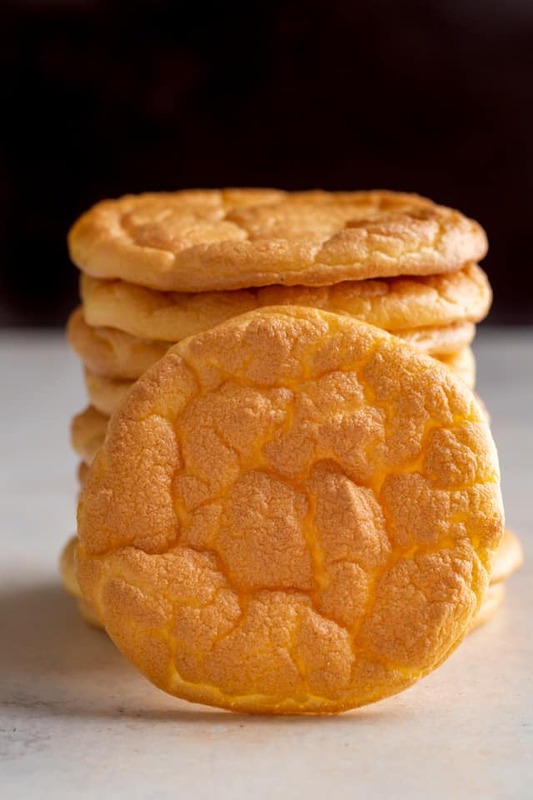 Stored in an airtight container, cloud bread will keep for up to 3 days at room temperature or up to 7 days in the refrigerator. If you are a fan of cloud bread, you might also want to try my ciabatta bread, rosemary cheese bread, and slow cooker bread. While these bread recipes are not low carb, they are supremely delicious! Preheat the oven to 300°F. Line 2 large baking sheets with parchment paper; set aside. 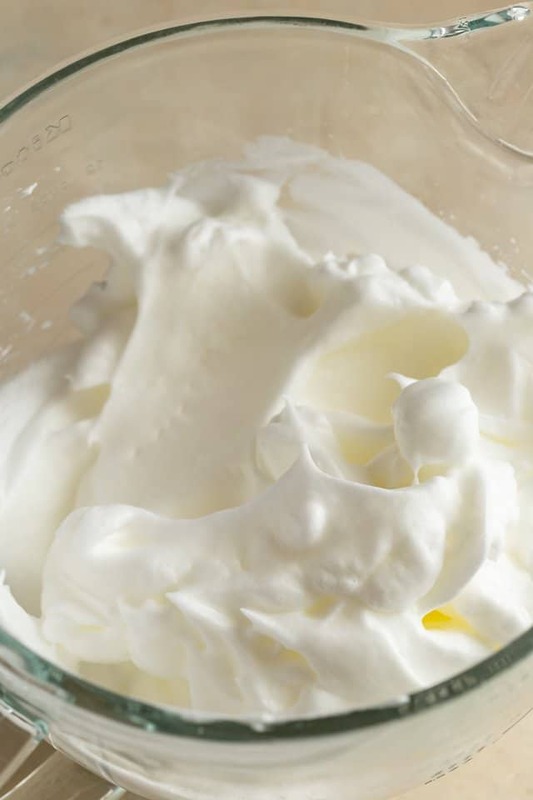 Combine the egg whites and cream of tartar in the bowl of a stand mixer. Beat on high speed until stiff peaks form. In a separate large bowl add the egg yolks, yogurt, and salt. Mix until well combined. 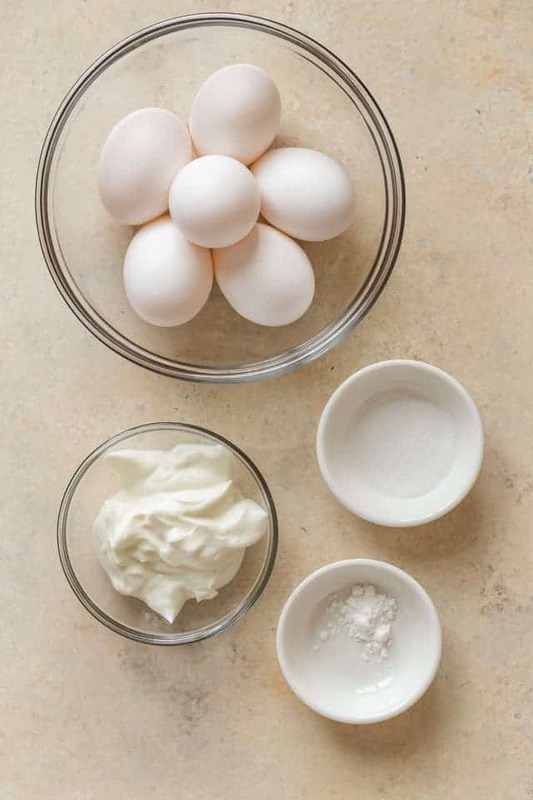 Fold one-third of the egg whites into the egg yolks just until combined. Repeat 2 more times with the remaining egg whites. Using a 1/2-cup measuring cup, drop 6 dollops of batter onto each baking sheet. Use the bottom of the cup to spread the batter into 1/2-inch thick circles. Bake for 30 minutes or until golden. Cool for at least 1 hour before serving. Cloud bread is best served the day it is made! However, it can be stored in an airtight container for up to 3 days at room temperature or up to 7 days in the refrigerator. Use sour cream in place of Greek yogurt and add 4 tablespoons of freshly chopped chives. Add 1/2 teaspoon garlic powder, onion powder, or other dried spices. It’s Christmas eve and I’m making it for my friends as gifts. Also kept several for myself. So easy and delish; I will definitely make it again and try the tips noted using herbs. Thanks for posting this fabulous recipe! This cloud bread is so good! I love that it can be customized with different flavors!